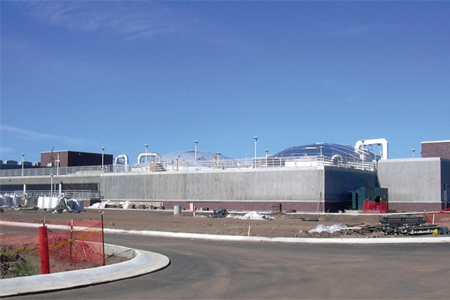 The cities of Littleton and Englewood, CO, just south of Denver, share a wastewater plant — the Littleton/Englewood advanced wastewater treatment (AWT) plant located in Englewood. The 7886 m3/hr (50-mgd) Littleton/Englewood AWT plant serves more than 300,000 residents in the Denver metropolitan area. The facility also receives sewage from 21 districts within a 75 square mile service area. Plant effluent is discharged to the Denver metro area’s major watershed, the South Platte River.